At six campuses across Texas, The University of Texas Health Science Center at Houston (UTHealth) School of Public Health works to improve the state of public health in Texas every day. Each of our campuses is strategically placed to meet the public health education and research needs of the diverse populations across Texas. UTHealth School of Public Health is the only school of public health in the nation with regional campuses. 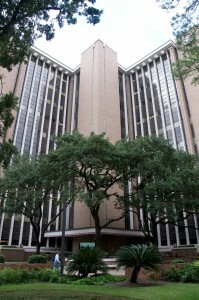 The main campus, located in the heart of Houston’s Texas Medical Center, offers students unmatched opportunities for research and employment. The School of Public Health’s five regional campuses are in Austin, Brownville, Dallas, El Paso and San Antonio. Each campus has its own faculty and research specialties. Students can attend class at any of the six campuses via Interactive Television (ITV). UTHealth School of Public Health is one of six schools of The University of Texas Health Science Center at Houston (UTHealth), the most comprehensive academic health system in The University of Texas System and the U.S. Gulf Coast region. In addition to the School of Public Health, UTHealth is home to schools of biomedical informatics, biomedical sciences, dentistry, medicine and nursing. It also includes a psychiatric hospital, multiple institutes and centers, a growing network of clinics and outreach programs in education and care throughout the region. The School of Public Health is accredited by the Council on Education for Public Health (CEPH) and the university is accredited by the Southern Association of Colleges and Schools (SACS).